In previous posts, we discussed the importance of a controlled environment in electronics manufacturing. To this effect, reflow ovens used with Nitrogen gas application provide a time, temperature, and atmosphere controlled environment for effective soldering of surface mount components. 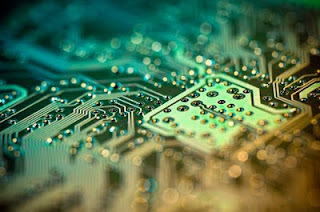 Lead-free soldering has become more popular and widespread within the electronics industry. In fact, the EU has been enforcing an RoHS (Restriction of Hazardous Substances) directive for electrical and electronic equipment since 2003 including the use of lead-free solder. The benefits of lead-free solder for electronics manufacturing include health benefits for electronics workers, safer waste-handling, and better recyclability of electronics products. Why Use a Lead-Free Zone Oven? A conventional reflow oven for soldering surface mount components may not be ideal for lead-free soldering. In particular, a conventional reflow oven can have a wide process window to be effective while reflow ovens for lead-free soldering require a more narrow process window to accommodate a higher melting point of the lead-free alloy with a tighter range between the melting point and the upper temperature limit. Lead-Free Zone Ovens provide zones for different profile requirements of the solder paste and board. There are ovens with anywhere from 5 to 10 zones to accommodate the thermal demands of the boards. Why Use Nitrogen With a Lead-Free Zone Oven? Nitrogen gas can be used with Lead-Free Zone Ovens to create an inert, dry, controlled atmosphere free from oxygen and the threat of oxidation that may weaken solder bonds. The most effective method for Nitrogen application is with a Nitrogen Generator. This N2 generating system uses a simple PSA Technology or Membrane Technology to separate N2 particles from the air. The high purity Nitrogen gas is then collected and stored in a tank and used on-site and on-demand for reflow oven use. South-Tek Systems is a leading engineer and manufacturer of Nitrogen Gas Generators. Contact the experts at South-Tek for more information about how a Nitrogen Generator can benefit your Lead-Free Zone Oven process: 888-526-6284.